Results: 1 to 10 of a total of 860 results. I love the open sea!! II spent 22 yrs in the United States Navy. I retired a Chief Petty Officer. 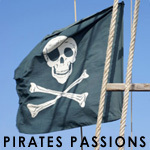 Pirates have always been a fantasy since I was a kid and read Treasure Island. Does axemanv90 belong in this group?